Games & Videos - Drawings Gallery - Kids' Science Challenge: Fun Educational Science Resources! The slideshow below is a selection of 50 of recent entry drawings. Click on small images to stop slideshow. This Slideshow Art Gallery Requires Flash. Go Get Flash! 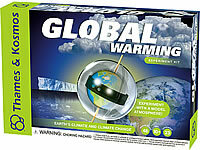 won a Global Warming Kit. #17 Jasmine David; Grade 5; Lyons Elementary School, Lyons, NY. won a Solar Oven Kit. won a Solar Water Heater Kit.